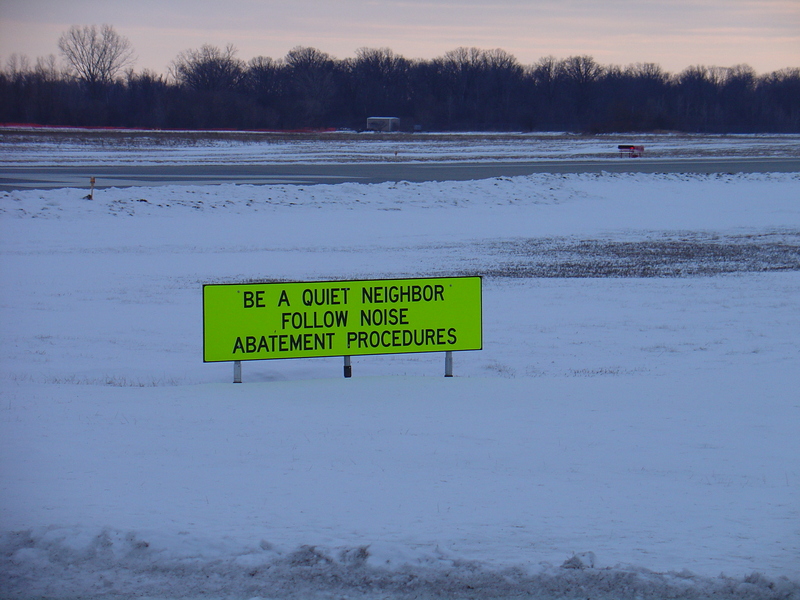 The Ann Arbor Airport has recently initiated a Noise Abatement Program to help reduce noise impacts in the area surrounding the airport. This voluntary program encourages pilots to operate their aircraft in the quietest manner possible without compromising flight safety. Pilot education and cooperation are the key to the program. Educational materials and pilot brochures have been distributed to the local flight schools and based pilots. Posters outlining the procedures have been installed at the terminal and FBO’s and airfield signage will soon be installed. Pilot brochures are also available to itinerant pilots using the airport at the terminal building and airport FBO’s. 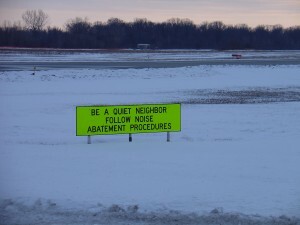 Listen to Ann Arbor FAA control tower and report low flying planes. As you hear the plane’s pilot and control tower converse, write down approximate altititue, airplane tail number, and time of day. Report low flying planes to airport manager at (734) 994-9124 or ARB control tower at (734) 769-1830.